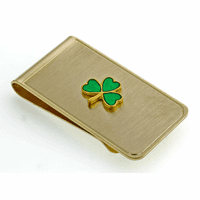 Combine timeless elegance and modern function with this classic genuine leather crocodile print money clip! 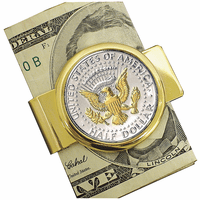 The crocodile leather clip is compact, and fits flat in a jacket or pants pocket, with a heavy-duty magnet that securely grips up to 20 folded bills! 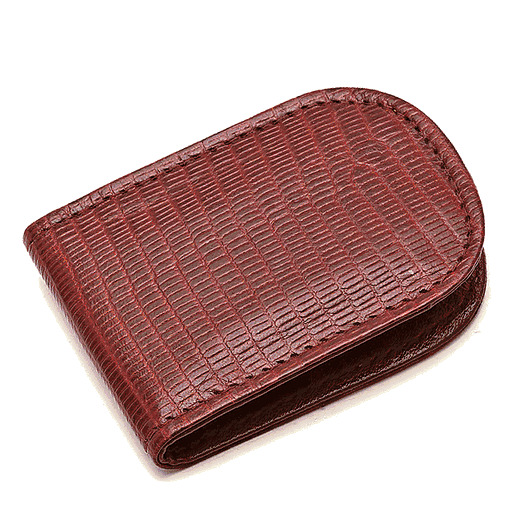 Crocodile leather has been a favorite for men's accessories and luggage for over a century, and will still be in style generations from now! Add free custom personalization by entering up to 3 characters in the box provided. 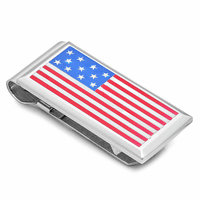 Dimensions: 2 3/4" x 1 7/8" x 1/3"
This money clip is simple but has a strong hold on my money. Very happy with it.